'We just wanted people to eat caribou during the Christmas season,' says Charlie Qavvataaq Inuarak, who spent about $20,000 on the trip from Pond Inlet to Hall Beach, Nunavut. A family in Pond Inlet, Nunavut, went to great lengths to host a caribou feast for their community this month. 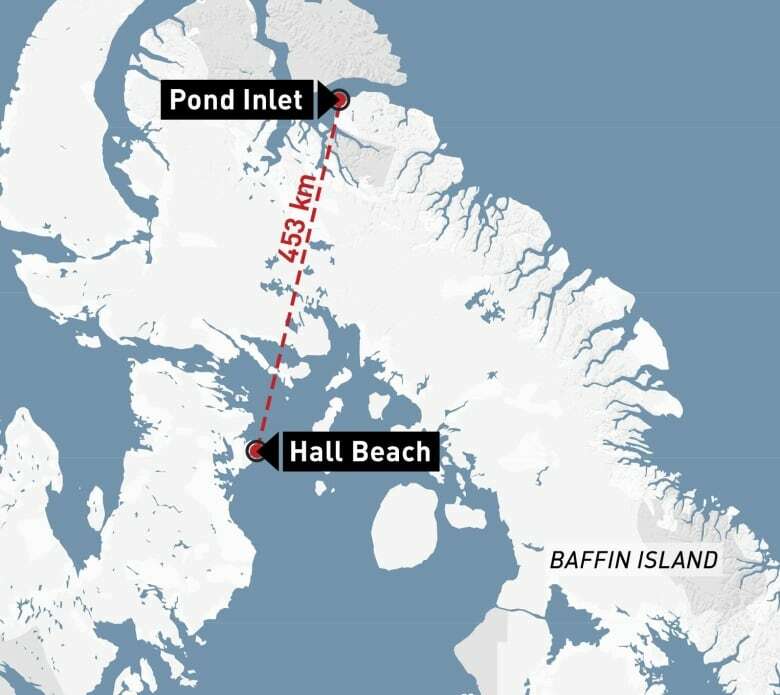 The family travelled 453 kilometres to Hall Beach, and in one week bagged 17 caribou to send all the way back to Pond Inlet on northern Baffin Island. "We just wanted people to eat caribou during the Christmas season," said Charlie Quvvaqtaaq Inuarak, in Inuktitut. The elder from Pond Inlet travelled with his two sons and his grandson on the hunt. They flew from Pond Inlet to Igloolik at the end of November. Once there, Quvvaqtaaq Inuarak bought a brand new snowmobile for the trip. 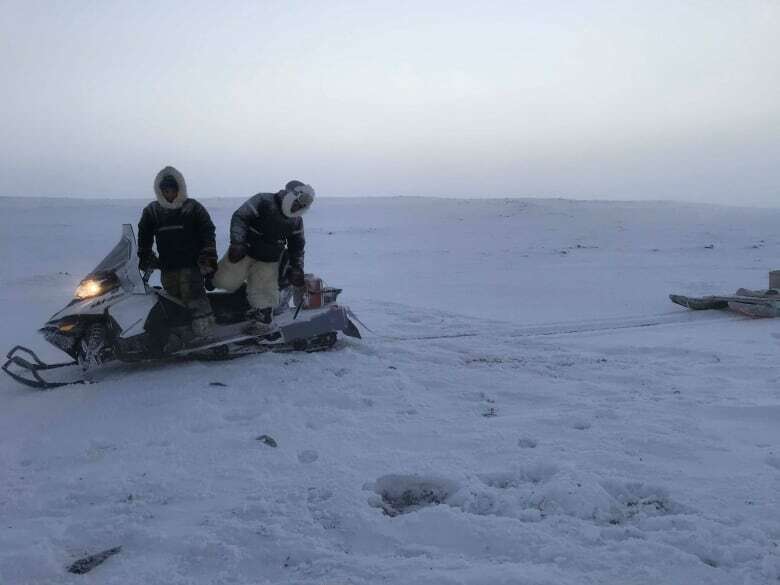 They borrowed a few snowmobiles and qamutiks — traditional sleds — from family members, and talked to local hunters to find out where they should go hunting. Barren ground caribou classified as 'threatened' in the N.W.T. The family had to travel to Hall Beach to hunt caribou legally. Every Baffin Island community has been on a restricted quota system since 2015, due to a dwindling number of caribou. Quvvaqtaaq Inuarak said there used to be a lot of caribou near Pond Inlet, but that's no longer the case. "So we travel very far, hundreds and hundreds [of] kilometres in very cold temperatures." 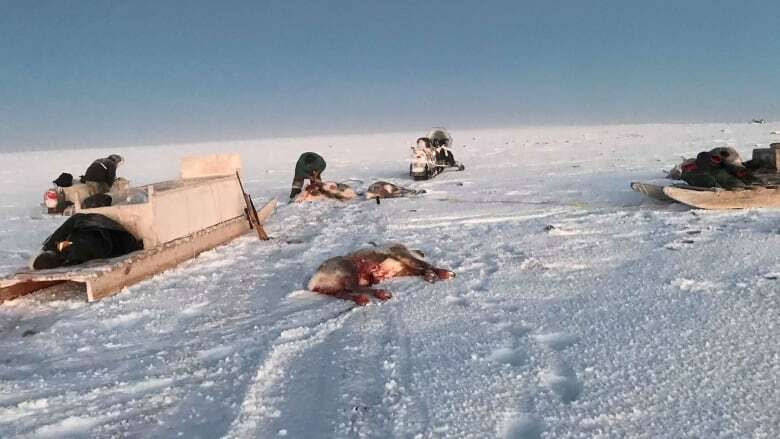 After the successful hunt, the men sent hundreds of kilograms of caribou meat home on cargo, which Quvvaqtaaq Inuarak said was "very costly." Quvvaqtaaq Inuarak's son said his father spent $15,000 on the new snowmobile, $500 on fuel, and $3,000 for plane tickets. "I am not asking for anything in return," said Quvvaqtaaq Inuarak. 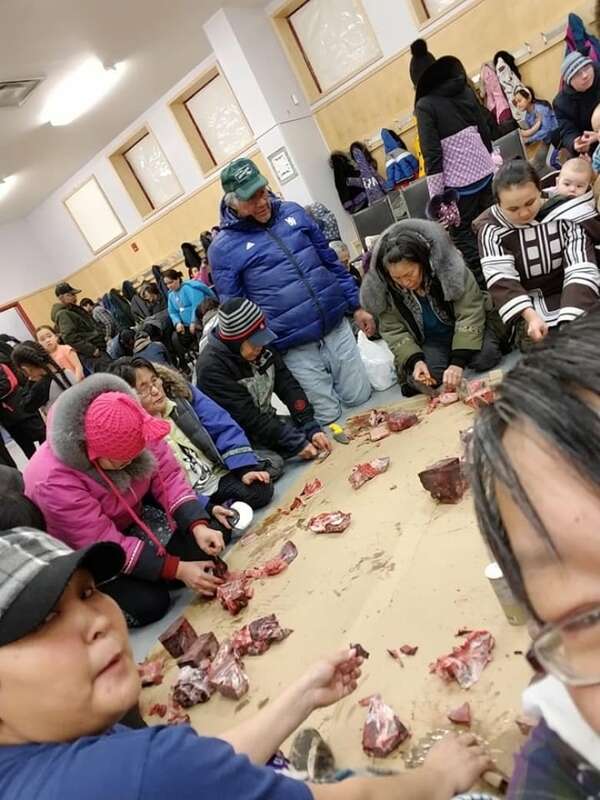 They had a community feast with the caribou in Pond Inlet on Saturday. 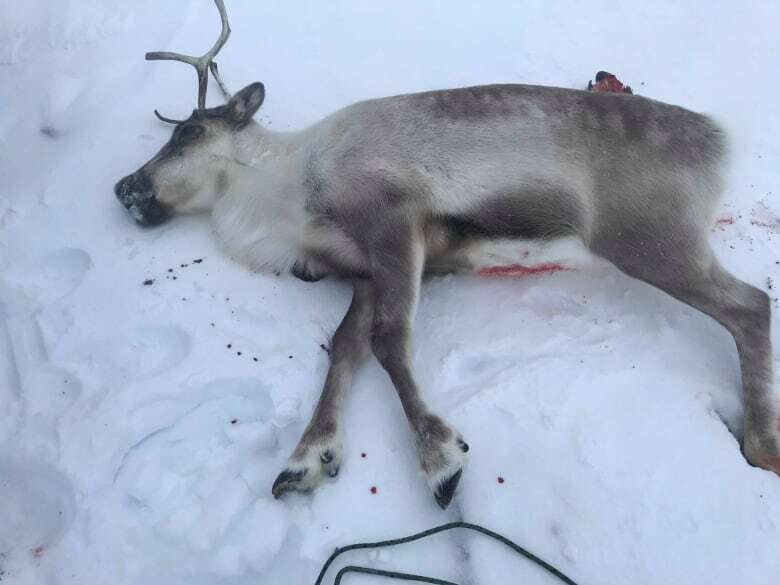 Quvvaqtaaq Inuarak said many people in the community have been craving caribou for a long time. "Many were eager to eat the caribou and grabbed what they could when the feast started," he said. Rhoda Koonoo was among the crowd. "There were so many people, I did not think I would have a chance to have some, but I did and was full," said Koonoo. Quvvaqtaaq Inuarak wants to keep the Inuit tradition of sharing alive. "I am so connected to my parents, and we are comfortable sharing food. So we all ate together," he said. "It is my parents who taught me to share traditional food. It is the way we do things as Inuit."